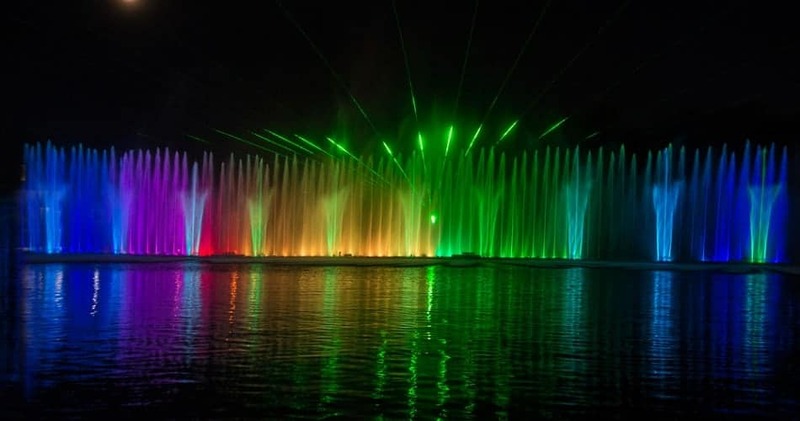 The Multimedia Fountain is the only one in the Ukraine and the largest floating fountain in Europe. It floats on the river Southern Buh in Vinnytsia City. The central spring of water shoots 229 ft in the air.